Italian director Giuseppe Piccioni (Not of This World, Light of My Eyes, These Days) will chair the Jury of Cinema History Students which – for the fifth time – will award the VENEZIA CLASSICI AWARD for the BEST RESTORED FILM and the BEST DOCUMENTARY ON CINEMA. 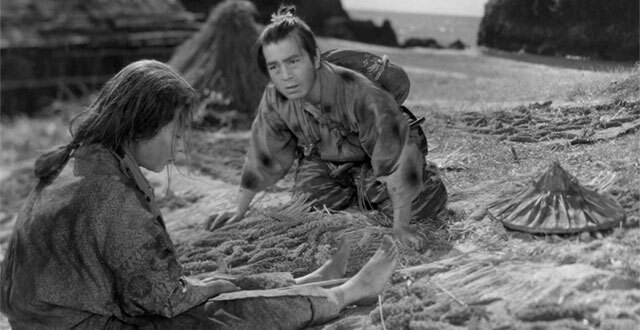 The numerous restored masterpieces in the Venezia Classici section of the 74th Venice International Film Festival include:1900 by Bernardo Bertolucci (1976); Red Desert by Michelangelo Antonioni (1964), awarded the Golden Lion at the Venice International Film Festival; A Story from Chikamatsu (1954) and Sansho the Bailiff (1954), awarded the Silver Lion at the Venice International Film Festival, by Kenji Mizoguchi; Wanderers of the Desert by Nacer Khemir (1984); The Revolt of Mamie Stover by Raoul Walsh (1956); The Third Lover by Claude Chabrol (1962); Black Peter by Miloš Forman (1963); Close Encounters of the Third Kind by Steven Spielberg (1977); Batch ’81 by Mike De Leon (1982), and Into the Night by John Landis (1985). The 74th Venice International Film Festival will be held at the Lido from August 30 to September 9, 2017; it is directed by Alberto Barbera and organized by the Biennale chaired by Paolo Baratta. Since 2012, and with growing success, the Festival section Venezia Classici has been presenting the world premieres of a selection of the best restorations of classic films conducted over the previous year by film libraries, cultural institutions and productions all over the world. Curated by Alberto Barbera in collaboration with Stefano Francia di Celle, Venezia Classici also presents a selection of documentaries about cinema and its filmmakers. The Jury, chaired by Giuseppe Piccioni, is composed of 26 cinema history students – nominated by their professors – in their final year at Italian universities, DAMS performing arts courses, and Ca’ Foscari University of Venice. The Venezia Classici section will also feature the presentation of a selection of documentaries about cinema and its filmmakers. The complete list of the section will be announced during the press conference presenting the program of the Venice Film Festival, on Thursday, July 27th at 11 am in Rome (Cinema Moderno). Giuseppe Piccioni has directed ten movies since 1987. He has participated at many film festivals (Venice, Berlin, Moscow, Montreal, London, Toronto, Los Angeles, San Francisco), receiving awards in Italy and abroad, and has worked with Italy’s top actors. His film Not of this World (Fuori dal mondo, 1999), starring Margherita Buy and Silvio Orlando, received five David di Donatello Awards, four Golden Ciak Awards, the Golden Goblet for Best Producer, the Silver Hugo Award at the Chicago International Film Festival, Best Feature Film and the Grand Jury Prize at the AFI Fest in Los Angeles, and the Special Grand Prize of the Jury at the Montréal World Film Festival. The film was nominated to represent Italy at the Oscars. In 2001, he presented Light of My Eyes (Luce dei miei occhi) In Competition at the 58th Venice International Film Festival; the protagonists, Sandra Ceccarelli and Luigi Lo Cascio, each received a Volpi Cup for their performance. In 2004, he released The Life That I Want (La vita che vorrei), once again starring the couple Lo Cascio-Ceccarelli. The movie was presented at the 2005 Berlin International Film Festival in the Panorama section. That same year, it participated In Competition at the Moscow International Film Festival, and at the film festivals in Edinburgh and San Francisco. After Giulia Doesn’t Date at Night (Giulia non esce la sera,2009),starring Valeria Golino,and The Red and the Blue (Il rosso e il blu, 2012),starring Margherita Buy, Roberto Herlitzka and Riccardo Scamarcio, he directed These Days (Questi giorni, 2016), presented In Competition at the 73rd Venice International Film Festival in 2016. The film stars Maria Roveran, Marta Gastini, Laura Adriani, Caterina Le Caselle, and Margherita Buy.